To try to escape the sweltering temperatures, I took a trip up to South Bass Island and the village of Put-In-Bay last Friday. This is an island not far off the northcoast of Ohio in Lake Erie. I had hoped that the temperature would be a little cooler a few miles out into the lake. Unfortunately, this was not the case! While wandering around in the shady garden and woods, behind a historic home on the island, I found this beautiful old watering can! Strangely it was sitting on a barbeque grill but the grill was not lit and it was in the cool shade, if you can call 90s cool. 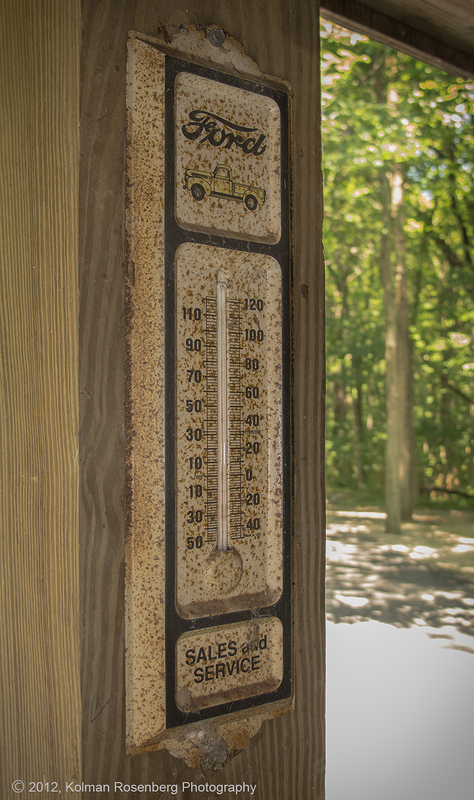 Wandering further in the yard I came upon this old thermometer under a covered porch. It read 82 degrees! There’s no way that the temperature was 82 anywhere in the area that day, except maybe in Lake Erie itself! So, while seeking a cooler environment and then some shade, I found myself back in the 195os! It wasn’t any cooler there, at least not temperature wise, but it may have been in other ways! I was glad I chose to carry only my small Canon G12 on this trip. It was much too hot to be lugging around my large Nikon DSLR and a few lenses that I would have been obligated to take along as well! Sometimes it’s smart to bite the bullet and go light! 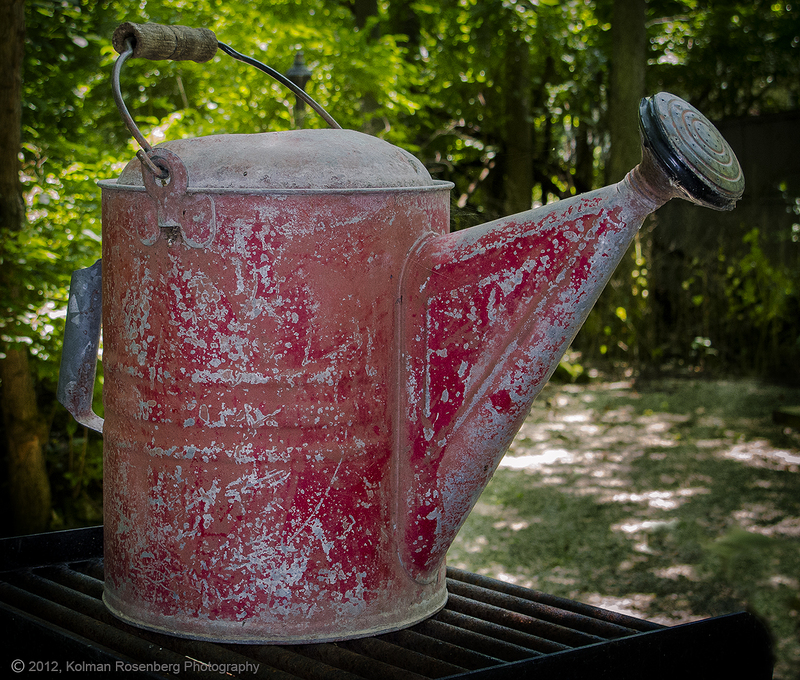 This entry was posted in Uncategorized and tagged analogue, canon, cool, dslr, garden, hot, humid, Lake Erie, nature, Nikon, nikon dslr, OH, ohio, outdoors, Put-In-Bay, shade, South Bass Island, temperature, thermometer, Travel, vacation, watering can, woods. Bookmark the permalink. I love the watering can. I have a little background project of photographing them wherever I find them. The crop up in lots of places and in different guises – I hope I find one like yours! Thank you for your comment Stepen! It’s interesting to hear what photo projects others are involved in. I have been capturing shots of standpipes (I blogged about them a few months ago) wherever I come upon them. I do believe you visited my neighbors at Stonehenge! Nice photos! Yes, you are absolutely correct! So you live next door? It’s a beautiful area!